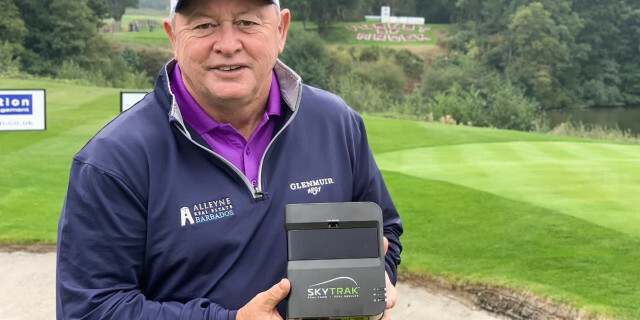 1991 Masters champion and World Golf Hall of Fame member, Ian Woosnam has installed SkyTrak in his home in Jersey as he looks to entertain guests and sharpen up his game ahead of his 31st playing appearance at Augusta National. During the summer, the 61 year-old Welshman saw a SkyTrak in action while making plans to convert some space at his home, and decided that it was the right technology for his setup. After the conversion, which was completed in December, Woosnam began to use SkyTrak. ‘Woosie’, as he is known to millions of golf fans worldwide, is still a regular Top 10 finisher on the Staysure Tour, with his most recent win coming at the Dutch Senior Open in 2014. In 2008, in his first year on what was then called the European Seniors Tour, he won the Order Of Merit and he is a five -time winner on the Tour. In his distinguished professional career to date the Jersey resident has scored 52 professional wins, including the Masters. He was the first golfer to win more than £1 million in prize money in a single year, and spent 50 weeks as the World No.1. He won the World Matchplay Championship in three different decades, represented Wales in 14 World Cups, and played eight times in The Ryder Cup, captaining Team Europe to victory in 2006 at The K Club with a record-equalling winning score. Call +44 (0)1844 296350, email [email protected] or see www.skytrakgolf.com for all details.